My thumb is slowly and surely turning a fresh shade of green. 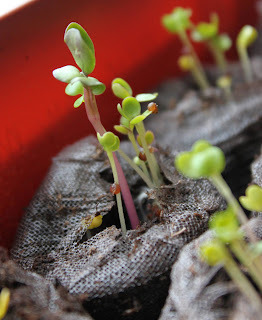 I am really excited about the progress that I have made to date in building a little sprouting garden. At this moment, I have six small pots of tomato seedlings; a small window box of basil sproutings; two large window boxes containing chives, cilantro, parsley and thyme stems; three pots of arugula, and; the first peeping pops of green are coming up on the mesclun mixes and lettuce that I planted earlier this week. The outer shells of my bean and pea seeds have started to pull back, and I expect to see a grand unfurling in the next couple days. I am anxiously awaiting a hint of life from my Swiss chard, cucumbers and morning glory seeds. Now, if only the weather would grant me some sort of consistency. Today, April Fool's Day no less, my house is being buffeted by strong, cold winds, and the threat of rain/snow/ice hovers menacingly within the pewter skies. Here are a couple quick snaps of the mesclun mix that I planted late on Monday afternoon. I admire the pluck of these little darlings. 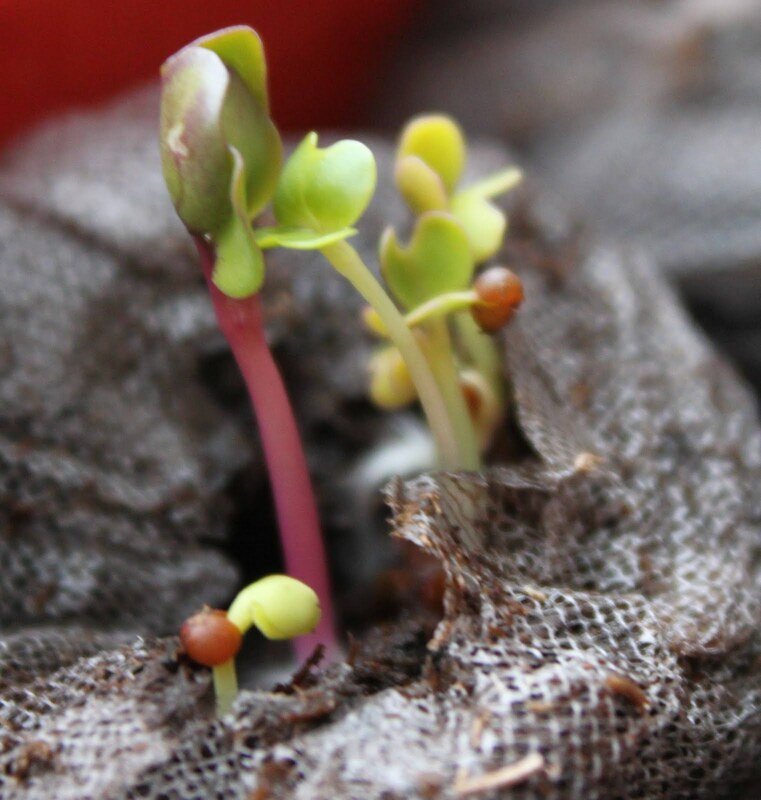 To snap up out of those tiny seeds so quickly, and to turn a shining leaf to the window on a day like this admirable. Update: I better start preparing a vinagrette. 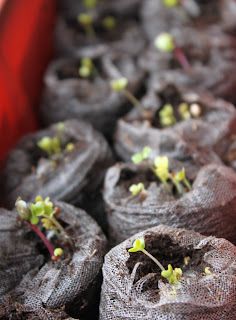 Here are my sprouts, one day later.